Once Upon A Time Cast @ Comic-Con 2016. 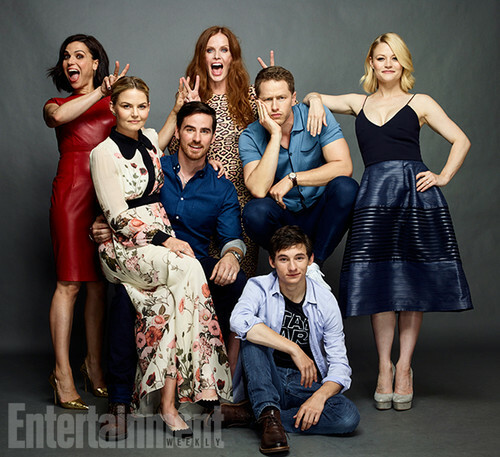 Lana Parrilla, Rebecca Mader, Josh Dallas, Emilie de Ravin, Jared Gilmore, Colin O'Donoghue, and Jennifer Morrison. Wallpaper and background images in the ওয়ান্স আপন্‌ অ্যা টাইম club tagged: photo once upon a time cast. This ওয়ান্স আপন্‌ অ্যা টাইম photo contains নিতকনে and রানীর সহচরী. There might also be ডিনার পোষাক, ডিনার গাউন, প্রথাগত, সন্ধ্যায় গাউন, ককটেল পোষাক, খাপ, strapless, and বেয়ার কাঁধের.